Blocks dust mites and their allergens without chemicals. Specially woven, lab tested AllerRest Fabric® creates health friendly bedding to provide long term protection that is also fluffy and comfortable. Bought 2 blankets and am very pleased with them GREAT!!!!! 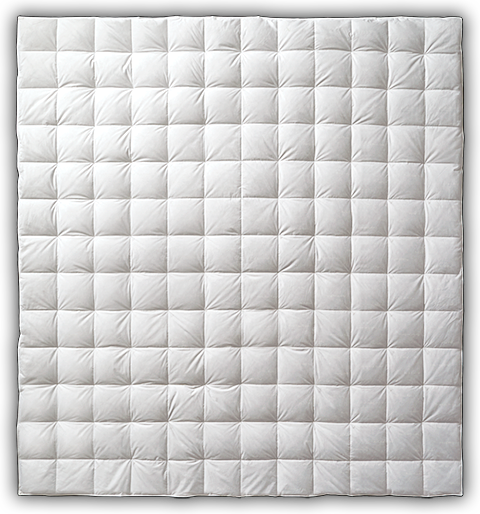 Our AllerRest® blanket makes a sumptuous addition to your bedding that is also kind to your health. The special extra tightly woven fabric weave is lab tested to block dust mites and their allergens long term. The 300 thread count, 100% cotton AllerRest Fabric® covers a 550 fill power of Hyperclean® down that is fluffy and inviting. It boasts an oversized design with a generous drape that can also be tucked in like a traditional blanket. It features our sewn through box construction to keep the down evenly distributed over you for night long comfort. This easy care, machine washable blanket comes with white cording and offers light warmth that is great for warmer climates or for those who sleep warm.